In December 1998, a bulldozer working on the expansion of the San Rossore train station in Pisa brought up several scoopfuls of wood and ceramics, and work was immediately stopped. Archeologists were called in, and what they found were the remains of thirty remarkably preserved shipwrecks in what was once an Etruscan, then Roman port of the city. 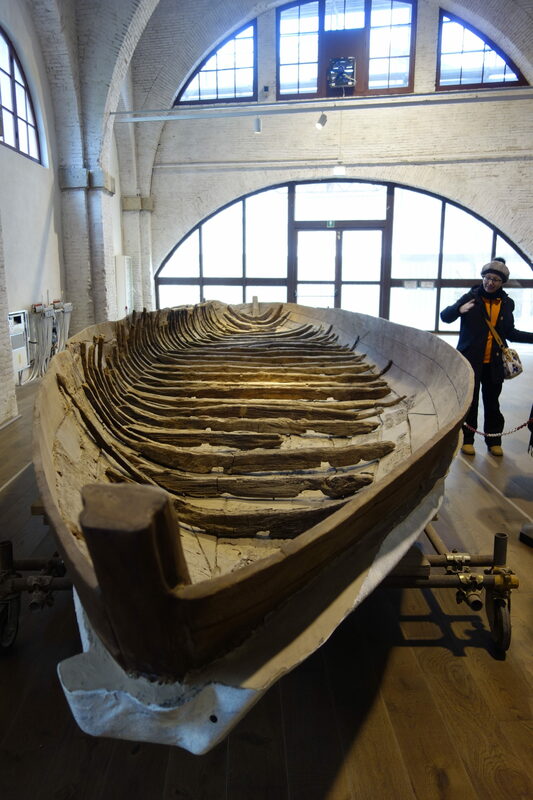 The Museo delle Navi Antiche di Pisa is not yet open to the public, but tours of the museum-in-the-making can be pre-arranged on two days of every month. 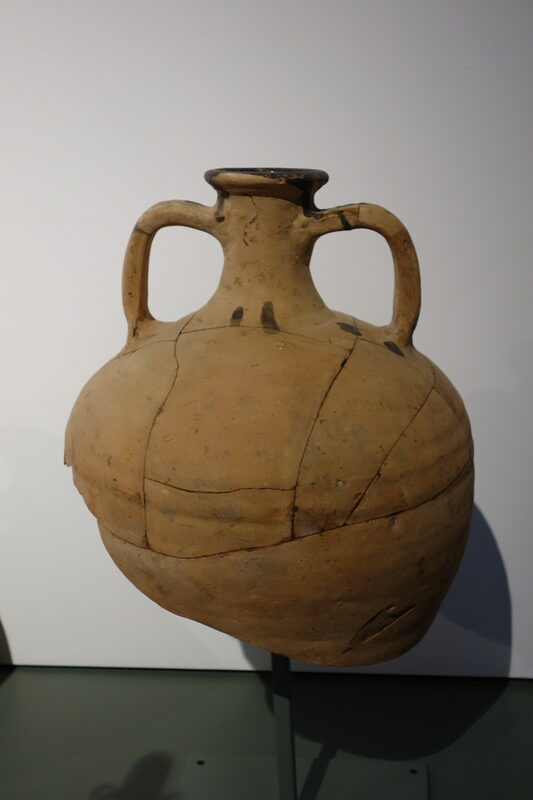 We were lucky that this semester, the UGA Cortona Studies Abroad program’s excursion to Pisa happened to fall on one of those two days, so a group of students and instructors were able to view this incredible archeological discovery. The museum is being created in the former Medici arsenals on the Lungarno Ranieri Simonelli. The space is perfect for large displays, and our guide said that eventually catwalks will be constructed so that visitors will be able to view the boats from above. 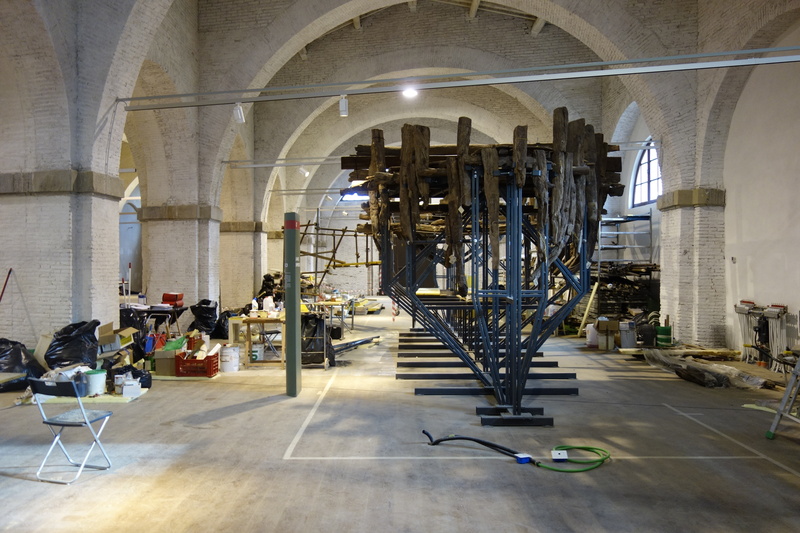 In the foreground is a modern model of “Boat C”, known as the Alkedo, the ancient remains of which can be seen in the background. The Alkedo was thought to have once been a private yacht due to its luxury touches, but when it sank it was being used as a commercial vessel, moving goods within the Arno and Auser river areas. 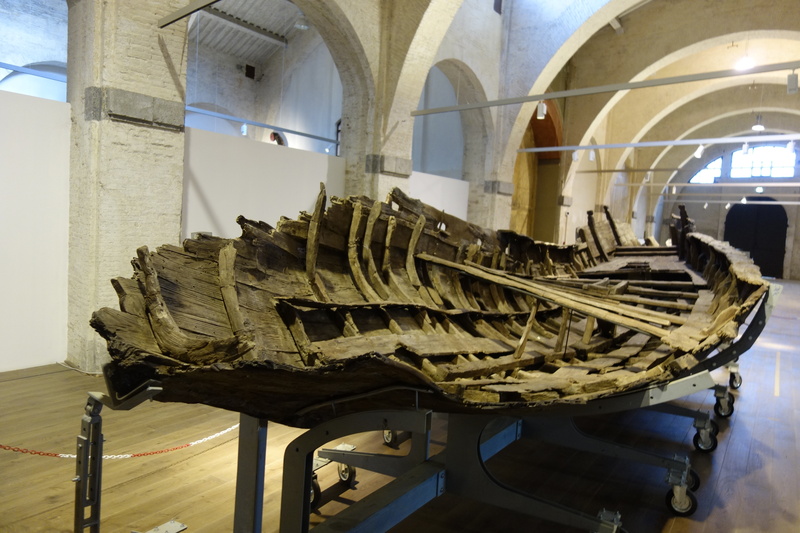 All of the boats were preserved because when they sank (probably during various floods) they were buried in semi-saltwater mud, and never exposed to oxygen. 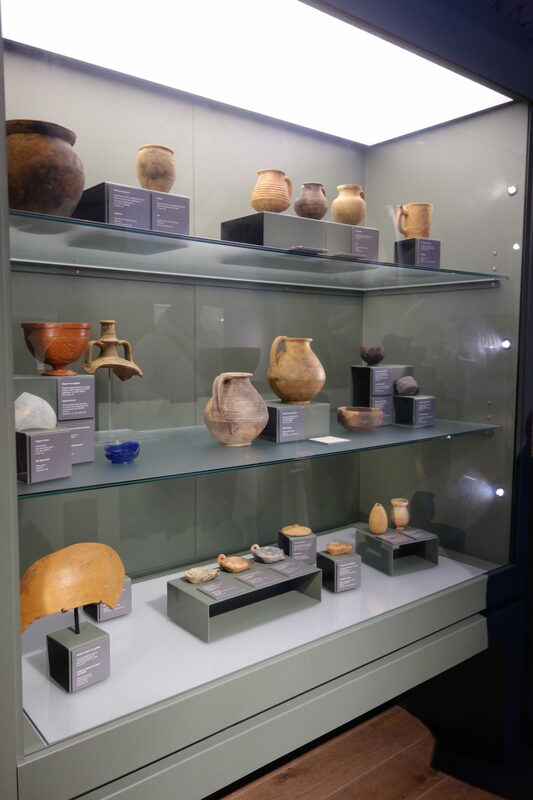 To excavate them, archeologists had to first encase each one in a plexiglas shell to protect it from the destructive effects of oxygen and fix its pieces in place. 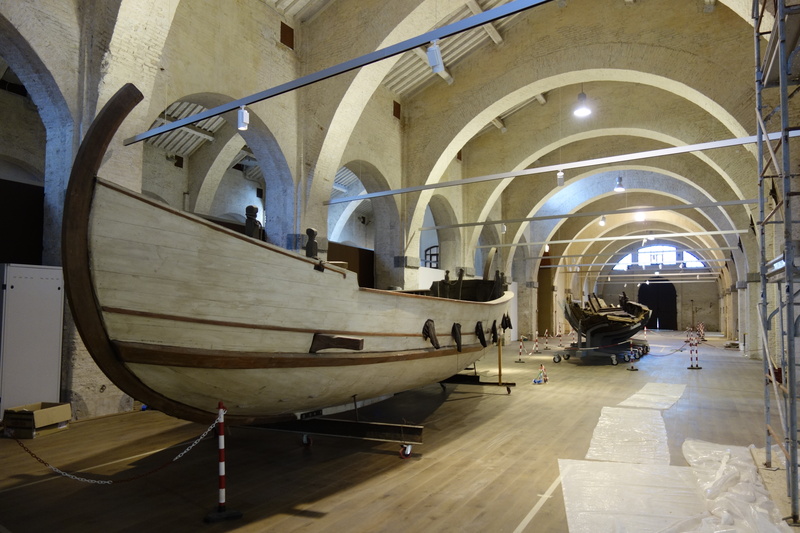 The boats were then taken to restoration labs, where over the course of years new techniques were developed to dry and preserve their wood. On this boat was found a tablet with the name of a sailor and what is thought could be the name of the boat itself — the “Seagull”. It, too, was a cargo vessel used within the river and canal system of ancient Pisa. On it were found many shoulder blades of pigs, so it is believed the boat was carrying a cargo of prosciutto when it sank. 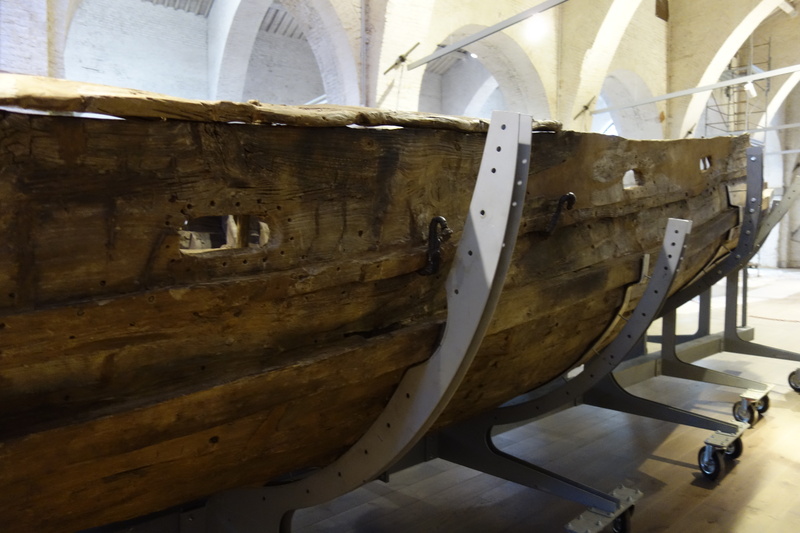 Many of the nails used to construct these boats were actually made of wood — the nail-holes can be seen in the vertical “ribs” of this boat. 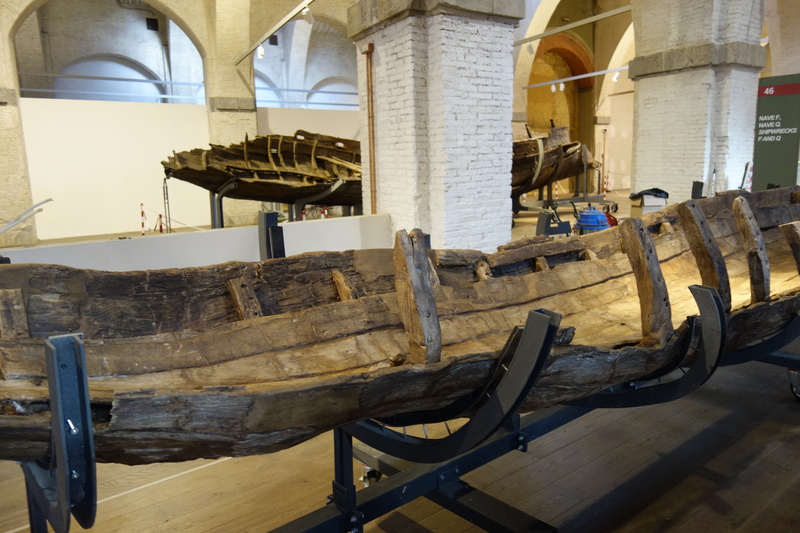 The boats were so well-built that in some cases archaeologists were able to remove the nails, take apart the pieces, and then later re-assemble them perfectly. In the entire excavation, only two skeletons were found: that of a sailor (about 45 years of age, in those days an elderly age) and his dog, who drowned next to him.